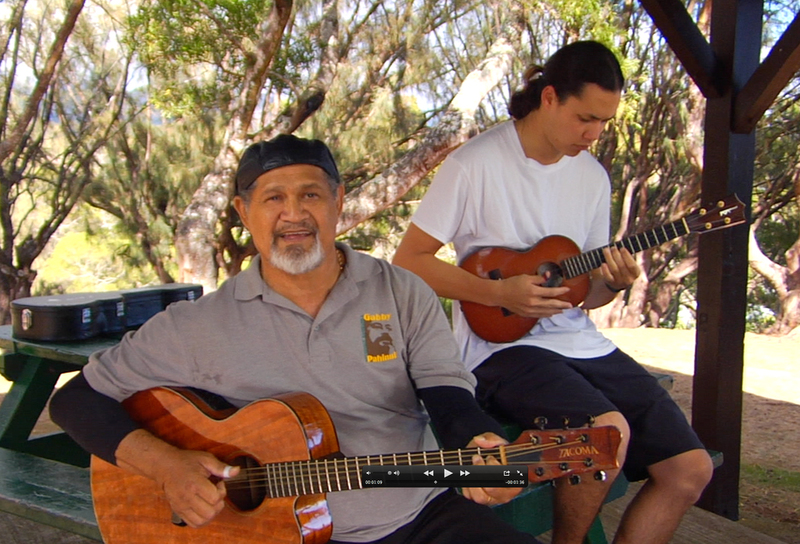 Honolulu, Hawaii (WEB) June 20, 2015 -- Independent film producer Cyril Pahinui is turning to the Internet to raise funds for his latest film project, Let’s Play Music slack key with Cyril Pahinui and Friends Part II, a musical documentary series about passing down Hawaiian music traditions while highlighting the Hawaiian Music Renaissance of the 70s and 80s. With funding as the first major obstacle to getting any film off the ground, current economic conditions don't make the job any easier. Filmmakers have to become more innovative in their fundraising tactics, and the independent filmmaking community has embraced sites like Kickstarter.com. In line with Kickstarter.com guidelines, artists have a set number of days to raise all the funds, or the project receives nothing. Pahinui's film has a 45-day fundraising window, from start to finish. If the allotted budget ($50,000 US) isn't raised before July 26, all pledges are cancelled and the project will not receive funding. When asked about why Kickstarter was appealing, Pahinui noted, "The ability to spread the word quickly online to a lot of people, and keep them updated on the status of the project is invaluable." An added advantage for artists is Kickstarter's merchant partner Amazon.com, which enables each project the convenience of receiving funds from anywhere in the world. Pahinui entered the fundraising pool a little bit at a time. The first film of the series he co-produced was funded through PBS and Pacific Islanders in Communication who have pledged to match the funds raised on Kickstarter for Part II. Part I was used by PBS to raise support for building their new center on Oahu.